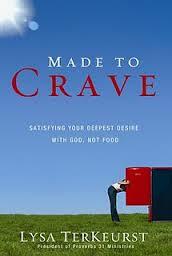 Determination — So this is week 2 of the Made To Crave Online Bible study. I am so glad that this is the the Word of the Week. Because it is taking everything inside me to stay focused. It’s crazy how easily we can get side-tracked. Oh I’ll read that chapter after I make the bed or do the dishes. Oh Look…. there’s a movie on that I wanted to see. There are nights, like last night, in fact for the entire day, that I was so focused… nothing could get me off track… and then there was today. Yikes!!!! 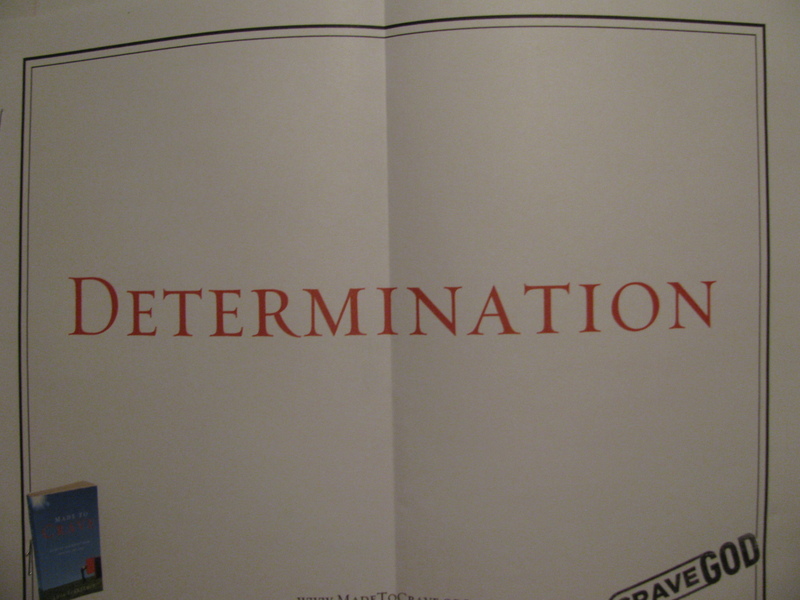 But I am determined. Determined to do something with all of this. Determined to recognize my weaknesses, and to recognize that where I am weak, HE is strong. Determined to accept that it doesn’t matter what “they” say, I am made for more. That where I am right now, is not all there is. Scripture says that He came that we might have life, and life more adundantly. I don’t want just an abundant life. I want all that He has planned for my life and I don’t want my life without HIS hand guiding it. I want more of Him. I want the blessing of God on my life and my family. I want to be able to say…. I can want all I want. But I am not strong enough in my own power to do it. I need HIS hand guiding me. I need to have that place to hide when I am so weak that I can barely stand. I need to have that place to run to when I can hardly focus on my day. He has to be that center point. He has to be what I rely on. I have to shift my focus from this world to HIM. To have that singular focus… to be so in-tuned that I recognize HIS voice…. HIS calling. “Keep your focus on Me. I have gifted you with amazing freedom, including the ability to choose the focal point of your mind. Only the crown of My creation has such remarkable capability: this is a sign of being made in My image. 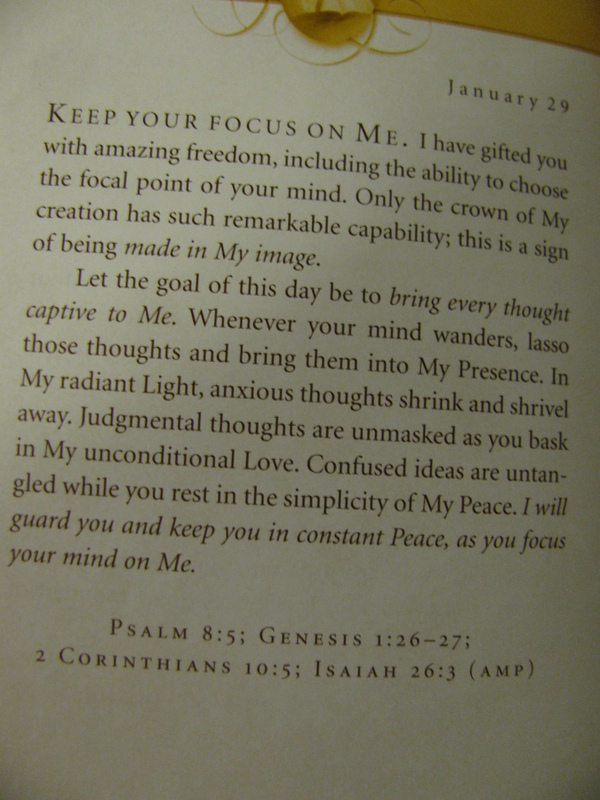 I love Jesus Calling and loved yesterday’s passage and how you related it to our study! I think we all have days where we can be super-focused and other days where we are very scattered, but how wonderful to have Him there to help us through the rough times. Thanks for sharing! Great post Ann. Determination is a great word and I know that with God all things are possible. Believing with you that God will give you the strength to stay determined.